Dr. Robert Ivkov is an assistant professor of radiation oncology and molecular radiation sciences and oncology at the Johns Hopkins University School of Medicine. His research interests include the development, characterization, and use of nanomaterials to target cancer and to enhance the effectiveness of current therapies such as radiation. He has a particular focus of selective heating with magnetic nanoparticles. Dr. Ivkov earned his M.D. and Ph.D. in physical chemistry from the University of Maryland and his M.Sc. from the University of Toronto, with an emphasis on thermodynamic properties of proteins. He continued to perform basic materials research at the National Institute of Standards and Technology, and later moved to the private sector to develop oncology products. 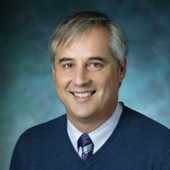 Prior to his arrival to Johns Hopkins, Dr. Ivkov was vice president of research and development and a co-founder of Triton BioSystems, Inc., a company developing targeted nanotherapeutics for oncology.